Partners of different zodiac signs bring out slightly different facets of the Leo personality. Some elements however are fairly common to all Leo relationships. Extremely forward and self assured Leos can come across as aggressive or impatient when starting relationships. The positive in this is that there are no head games played by this Lion, what you see is what you get, and Leos tell you exactly what they want and like. Although many times Leos have been accused of being ego maniacs, this is due to their high self esteem which is a beacon of attractiveness. Their self confidence is very attractive to most around them. This is not a "wishy washy" sign. They know their mind and aren’t shy about going after what they want and need. A Leo in love is usually very generous with loved ones. They enjoy the beauty around them and will appreciate the beauty you bring to their lives. They will definitely notice any effort you put forth for their benefit, be it small tokens you bring them or even simply making that extra effort to look nice. They see the beauty of creativity in the smallest detail. Leos appreciate the best in life, so when planning anything special always remember "quality" outdoes "quantity" every day to a Leo. Being true to your Leo and showering them with honest love and intentions will make your Leo bond to you for life. Once that trust is established, expect to be pampered by the Jungle’s Royalty that is a Leo. Their dignity and integrity is front and center in the way they treat their partners. Once you’ve been loved by a Leo it is unlikely that you will ever forget the experience. This is a very hard sign to get over. Their biggest challenge is to put each other as number one. The order of command can be difficult for the Ram and Lion. The Ram likes to take charge and the Lion doesn’t take orders easily. The Lion can be bossy and the Ram does not like to be told what to do as they are usually the one giving the orders. One-upmanship can be a game they play and it can be a fun challenge if not taken too seriously. If not careful, they can let their competitive natures become too serious and as a result it is no longer a game that inspires them to do better and instead of being on the same team they can become fierce opponents. Leo generosity may also pose a problem for the Aries partner because it may seem to them they have obtained the Leo’s affections too easily. If the Leo partner can reserve some of their tendency to over give, they could overcome this issue. The question is who’s going to make the decisions? When it comes down to it, Leo and Taurus basically want the same things out of life, but who’s going to be the boss? As strong sun signs, one of them has to step aside to allow the other to lead. When they both want to be nurtured and looked after emotionally, and both see their role as taking control, then someone is going to end up being disappointed. Leo can be extremely bossy and will make certain assumptions as they will feel they should automatically step in to the leadership role. They don’t always feel it necessary to let other people know what they are thinking or planning in advance. They can sort out the game plan all by themselves and let others know after the event what is happening, and with this attitude, Taurus can really get their nose put out of joint. Taurus on the other hand, may not act as quickly as Leo, but that doesn’t mean they are not as determined to reach their goals and do it their way. When push comes to shove and a power play occurs between these two, there can be a stalemate, which does not make this an easy combination to live with. Leo comes from the heart while Gemini comes from the head, which can spell problems. Leo is passionate; they need a powerful romance and commitment, with all the bells and whistles attached. Leo has to feel that they’re the center of their partner’s world, and Gemini may strike Leo as too detached, as if something is missing. Gemini holds back a part of themselves from just about everyone, without necessarily even realizing it, which can undermine Leo’s faith in themself and in the relationship. Red Flag: Gemini is not the most commitment oriented sign, even if they are in love with their mate, the allure of an unknown partner may be more than a little tempting. Leo is among the more jealous signs, and infidelity is usually a deal breaker. Leo will warm their mate and shower them with all the riches they have, when they feel loved and adored, but they’ll react dramatically when their pride is wounded or they feel neglected. Leo can be very controlling, which sends Gemini flying toward freedom. The lion’s fixity may balk at Gemini’s ephemeral fickleness or elusiveness. Leo is undoubtedly the boss, and although Gemini is a pretty easy going type of character, there is a limit to how much bossing around they will stand. The twins don’t mind being organized, to a degree, but will resist having to conform to an imposed schedule or lifestyle. Spontaneity is one of the things that Gemini lives for. Leo may find Gemini too scattered or inconsistent, and the lion’s royal displays of temper, especially with intention to dominate, can trigger Gemini’s laser sharp tongue - with quite a fire storm ensuing! Leo can be very stubborn, while Gemini can be very elusive and inconsistent, so a real effort at compromise will be called for. A strong foundation in friendship is both likely and important for this couple. Leo holds nothing back, while Cancer’s world is greatly internalized, and without compatible elements elsewhere in their charts fundamental conflicts in their essential natures can prove difficult to overcome. Leo can be extremely self-centered and can eclipse Cancer, dominating the relationship, which can cause Cancer to withdraw, feel diminished and grow melancholy. Leo is too busy and optimistic to notice Cancer’s moods. Water and fire can extinguish each other. Cancer has the power to dampen a lion’s spirit and Leo can wither a crab’s heart and soul, reducing them both to what could be a destructive level. Cancer can put out the solar fire with a steady rain of brooding silence, sulking and emotional drama. If Leo is too self-involved to express sufficient sensitivity and understanding, Cancer can retreat into deep sadness and introversion. Finance may be an area of concern. Leo’s largess may strike Cancer as indulgent extravagance, while the Cancer frugality seems stingy to Leo. Cancer can be bossy, while Leo can be stubborn. These two have their work cut out for them, to make the relationship work. There’s a need to have equality, but who has the upper hand? Leo is a fire sign of a fixed quality, meaning they can be passionately stubborn. Both are natural leaders, can be domineering and like to take control, so sorting out who’s responsible for what early in the union will help to short cut problems. Until these boundaries are set, expect trouble in paradise to occur. When egos clash they can be pretty ferocious, and if they wound the other’s pride with hurtful remarks or heartless rejection, watch out. The lion’s heart is as tender as it is great, and although naturally attuned to the vulnerabilities of the other, if inharmonious elements in their charts support more serious power struggles or insensitivities, they may cross the line and cause irreparable harm. Leo can be playful and laugh at themselves, but their natural dignity won’t tolerate humiliation. Too much flirting at parties, neglect or lack of respect for each other can drive away what could be the love of their life. Because they are so proud, they may try to make the other jealous in an attempt to protect their own wounded egos. Such a mistake they’ll hopefully learn never to make twice, if they are fortunate enough to get a second chance. Virgo needs respect, which Leo may not express enough for Virgo to register. Leo may be too self-involved for Virgo to take seriously, which, in turn, can infuriate the natural Leo pride. Also, they don’t want to concede that someone is better than them; after all, Leos are superior beings. Leo’s fire can be utterly put out by Virgo’s criticism; Virgos just love to give advice, as they do have an abundance of knowledge and feel that they help by sharing. Virgos are gentle people who, while enjoying good times, are not as focused on social activities as their Leo partner. Virgo may prefer quiet evenings at home, seeking fulfillment in more subtle ways, while Leo might feel hemmed in or frustrated by what seems repressive or boring. If Leo does not express their appreciation for Virgo’s fine qualities and contributions, even with the Virgin’s patience and humility, they are vulnerable and human and their capacity to lodge concise, piercing criticism may ignite one hell of a firestorm. Earth and Fire can make for a mighty volcano. Their communication styles may conflict on occasion. Libra, ever seeking balance and weighing both sides of an issue, launches discussions - debates which may lead to disagreements. They rarely raise their voice, but they will if the situation escalates far enough. Leo issues orders and decrees – their style is to dictate. Getting these two styles to gel is challenging. Also, Leo’s pushy nature can move too fast for the tentative Libra. Libra likes to think about things before making a commitment. If Leo moves ahead without waiting for their answer, they’ll hear from Libra in less than harmonious tones. Libra can be so charming and are so innately tuned into others that they make whoever they engage feel special and attractive. Leo can react with jealousy when Libra was merely socializing. Libra is wise to remember how possessive and jealous Leo can be, so as to avoid the angry snarls that disturb their scales of balance so much. Leo is wise to take a clue from their Libra partner and try diplomacy first – if the lion roars and throws a fit, Libra may flit away to restore some of the inner harmony they work so hard to achieve. Leo will feel that there is a part of Scorpio they cannot access, and they will be right. Scorpio keeps a little mysteriousness about themselves or some personal secrets, and there is nothing you can do to coax it out of them. Leo’s pride can be pricked when they meet with the Scorpio silent treatment. 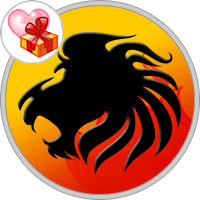 With a little sunshine and lion-hearted generosity, however, Leo will melt some of the Scorpio ice. Leo can be arrogant and their need to be the center of attention can prove trying to Scorpio. Leos can pout or rattle pots and pans if they don’t get their way, but if Scorpio can manage some kind of genuine compliment at such times, Leo’s royal hissy fit will lose its momentum. Neither of these two will be content to play second fiddle and both have a naturally dominant character, so mutual support for each other’s professional aspirations is essential. Leo needs an audience, and if Scorpio doesn’t honor them sufficiently the lion will seek the spotlight elsewhere. That doesn’t mean they’re unfaithful, they merely need attention. Scorpio’s magnetic appeal will surely draw admirers, and as both signs can be very jealous, they must take care not to inflame their partner and to affirm their devotion and loyalty. Leo assumes the leadership position, which isn’t always a problem, but Sagittarius is loath to take orders from anyone and they’ll instinctively rebel if Leo tries to dictate or impose their will too strongly. Sag can be extremely undiplomatic - blunt, is more like it – they often speak without thinking it through. Their brand of truth-telling may include some criticisms or insults that wound Leo’s pride, hurting the big cat more than Sag has any idea. Sagittarius won’t bow down to anyone, even their mate, and Leo may find Sag’s independence offending and alienating. Leo may not easily accept Sag’s need to pursue their own thing, whether it’s studies or journeys apart from their partner - they’re not rejecting Leo, they just need space and personal freedom to be themselves. Leo needs to feel adored – that they’re all important to their mate. If they feel neglected, they’ll pout and snarl and if it persists, look elsewhere. Leo will not suffer indignity for long, and Sag will not be dominated, so compromise and mutual respect is essential. Sagittarius loves to flirt and can resist commitment, and Leo is notoriously jealous. With supportive placements elsewhere in their charts, these challenges can be overcome fairly easily, but care should be taken lest they spoil what could be a fantastic relationship. Capricorn is all about building security for the future, and steadily moves towards their goals. No matter what it takes and how long it takes Capricorn never losses focus, they are building a future for tomorrow and keep their eye on the end result. Leo’s attention is on today, the impact they make here and now will take care of what happens tomorrow. Capricorn is a cardinal strategic action sign who likes to be in control and automatically takes control. Leo is a fixed sign, and although they are open to learning from Capricorn, if they think they have something useful to impart, they are not going to be controlled, quite the opposite, they are known to be bossy and take charge themselves, so this is a recipe for friction on a day-to-day bases, which can result in a partnership, personal or professional, to be over almost before it starts. When Capricorn is challenged they can be cold and selfish and Leo, who is normally warm and generous, if they feel confronted can be arrogant and conceited, not a good recipe for a partnership. Staying connected is the biggest challenge. They are off on their own tangents, busy following their individual dreams, which can eventually pull them apart. Unless of course, they work as team unit, but then Leo is always going to want to be the boss and Aquarius is not good at following orders, unless of course, they’re giving them. Leo needs to feel adored; they need strokes, affection and attention that Aquarius may not provide to their satisfaction. Aquarius can be very remote and distant, connecting on a heart level is one of the lessons they receive from their polar opposite, Leo. The water bearer may be so abstract and detached that Leo can’t relate – they want a mate who is there with them on every level, not a theoretical relationship! Aquarius may find Leo’s ego-centric dramas off-putting and will retreat into stony silence if Leo’s need for attention triggers a tantrum. They may rebel against the lion’s imperious attitude – both signs are stubborn and strong willed, and neither will be bossed around, which can lead to some pretty hairy fire-storms and stand-offs. Fortunately, their stubbornness can also make them reluctant to give up on the relationship, which has tremendous potential for satisfaction. Pisces needs more personal reassurance than Leo is willing or able to give. The Lion may be too self involved to perceive or make the effort understand what is really going on with their Pisces partner. They have trouble catering to Pisces emotional needs. Pisces can feel alienated by the Lion’s need for ego gratification, preferring deep soul contact to the concern for outward appearances that may seem a bit too important to their royal companion. Though often willing subjects to a benevolent monarch, Pisces has their limits and won’t play second fiddle for long if Leo remains insensitive to their need for genuine, emotional intimacy. The Lion plays to the house, and if the audience doesn’t respond, that performance becomes forced, causing the Fish to seek elsewhere for the kind of meaningful communion they long for. Leo must be secure enough in their identity to share the spotlight from time to time. If Leo can manage to laugh at themselves a bit, all the better. Pisces has their own light to shine and needs the support and appreciation that feels so good coming from their lion-hearted mate. Leo is a fire sign of action and Pisces can get lost in a need to overanalyze everything, which leads to trouble. Pisces will ask for advice, but may not do anything about it and this is where Leo gets disillusioned about the relationship. Water and fire together can either sizzle and form stars or extinguish each other completely.